I'm not a fan of calling things what they are not, no matter how much it might look like that other thing. This gooey center is not caramel, guys. Caramel = sugar. I don't make desserts very often, but I was inspired when I saw PaleOMG's recipe for these Chocolate Coffee "Caramel" bars. I mean, LOOK at hers. Despite the filling-that-shall-not-be-named, they are genuinely superb bars, even though my version turned out super ugly. I followed the recipe almost exactly until I got to the chocolate topping. I didn't have any chocolate chips on hand, so I made my own icing with coconut oil instead. Best part? This actually looks, tastes and acts like real frosting. Before you judge me, consider this: frosting is inherently gross. Buttercream frosting is literally just butter and sugar mixed together. I'd totally gag if I thought about eating a spoonful of butter, but a spoonful of frosting? Yeah, that I can handle. It's the same with this paleo chocolate frosting. A spoonful of coconut oil is like, "BLEGH!" A spoonful of chocolate frosting? 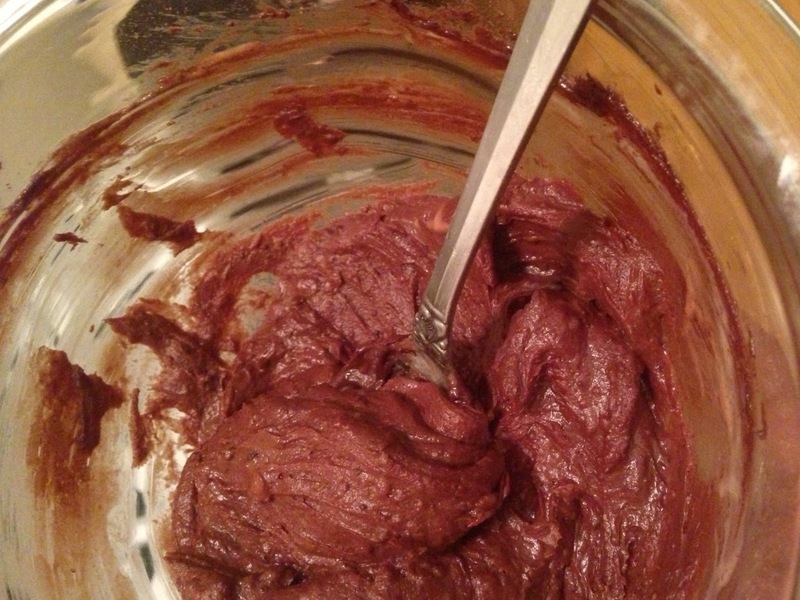 "MMMMM..."
Mix the coconut oil (don't melt it), cocoa powder and honey until it's completely incorporated and smooth. Then add the coconut milk and the coffee and mix thoroughly again. THEN EAT IT ON STUFF. And that's all, y'all. Let me know what you use as a vehicle to get this frosting to your mouth.